Zimbabwean golfing legend Nick Price has hailed Anirban Lahiri and says that his good humour and team spirit make him a vital cog in any team. Zimbabwean legend Price, who is 58, who held the world's No. 1 spot in the mid-1990s and won three Majors, knows a few things about the President's Cup. He played in the first five editions from 1994 to 2003 and was the captain last time in 2013 and now he leads the team again. He said, "I think it's a huge bonus or however you want to put it for us to have an Indian for the first time on our team. We know how big golf has become in India, and all of us hope that maybe one day The Presidents Cup will go to India. I mean, you guys have produced some really good golfers over the last ten or 12 years, and I think that it's just great that Anirban (Lahiri) is on there." Lahiri, who makes his Presidents Cup debut this week, has said that it was a conversation with Price that got him to add President's Cup to his list of goals and 'must-do' events in his career. Today, Price added, "We met in Fiji last year, and I went up to him, because he had been progressing up on the rankings in our team. He expressed to me he really wanted to play on The Presidents Cup, and that made me feel very proud. You want guys out here who are going to play. You want guys -- and soÂ he's really looked forward to that." Lahiri's sense of humour in the dressing room has also won him a lot of friends and fans in the team, Price revealed. "He brings a great sense of humour to the team. A lot of guys didn't realise how funny he is but he has a really good sense of humour and he's just so keen to get out there and play. We're very happy he's on the team." 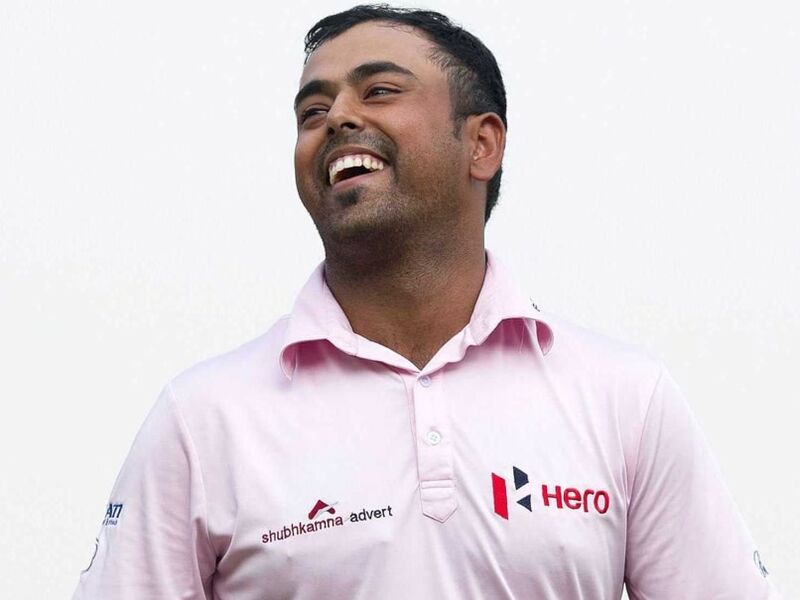 Lahiri's obvious love for team events endeared him to Price and the Indian golfer has helped his own cause with a superlative showing in 2015, which included two wins in joint-sanctioned events Malaysian Open and Hero Indian Open. As a professional, Lahiri has played team events in World Cup, EurAsia (for Asia) and now President's Cup. "This is as big as it gets. It is an opportunity of a lifetime, something I will always cherish," Lahiri admitted. In the 10 editions held before this, the Internationals have won just once in 1998 in Melbourne, under the leadership of Australian legend Peter Thomson and in 2003, when Gary Player was the captain, the two teams were tied. So, the International team is up against a lot of history and Price was the first to admit that. "Some of the veterans who have played in numerous Presidents Cups, they have had a tough time in the past I think, certainly at Muirfield (2013), getting them motivated, because it's been a bit one-sided. So I think that's changed, I think the guys are looking forward to this a lot more than any of the previous two or three," he said. Price is banking on a bit of 'home' advantage with a feeling that playing at Jack Nicklaus Golf and Country club is a positive thing for his team. "KJ (Choi), the co-captain, and certainly (Sangmoon Bae) Moon, having won here twice in the last two years, they have got a lot of knowledge of the golf course. However, I will say that most of these professionals these days, they learn things very quickly on a golf course. A couple of practice rounds -- and this golf course is a very, very good golf course. It's right there in front of you. There's no tricks. "There's nothing hidden to it, but I'm sure that the players and the caddies, probably more so the caddies, will be talking to Moon's caddie about maybe the idiosyncrasies and the little characteristics of the golf course that they may not have seen. But it is really nice to have the opportunity to have them (Choi and Bae) to call on," Price explained.